Martin Chuzzlewit was Dickens’s sixth novel. It was first published by Chapman & Hall in installments that began in January of 1843 and ran through July of 1844. 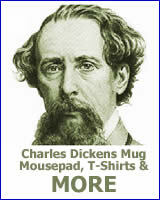 In January of 1842 Dickens and his wife, Catherine, sail for America. They return to England in July of that year. American Notes is published in October of 1842. Late in 1842 or early in 1843 Dickens begins work on Martin Chuzzlewit. The first installment is printed in January of 1843. Dickens begins work on A Christmas Carol in October of 1843. It is published during the holiday season of that year. On January 15, 1844 Francis Jeffery (Frank) Dickens, the third son of Charles Dickens, is born. 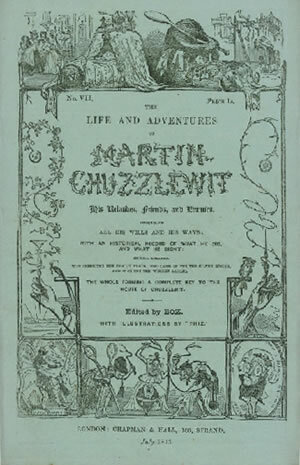 In July of 1844 the final installment of Martin Chuzzlewit is printed. 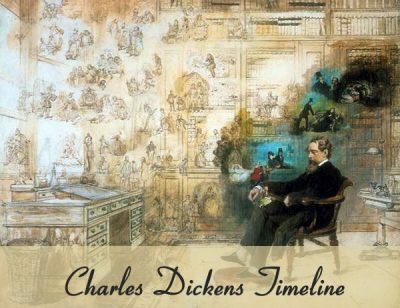 In 1867 Dickens returned to the United States for an extensive reading tour. 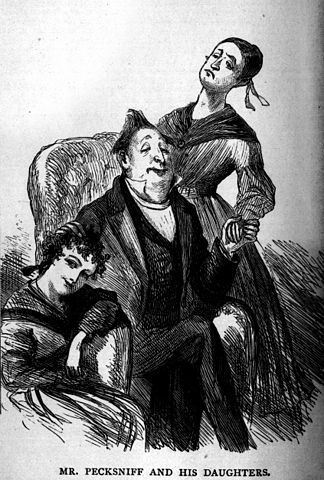 The overriding theme of Martin Chuzzlewit is selfishness, selfishness of all types. The elder Martin Chuzzlewit is a very rich man. When he appears to be near death the worst comes out in those around him. Pecksniff tries to scheme his way to the Chuzzlewit fortune. The vulture-like Chuzzlewits and Spottletoes sweep in to wait for the old man’s death. All of them hoping for an inheritance. However there are other types of selfishness. 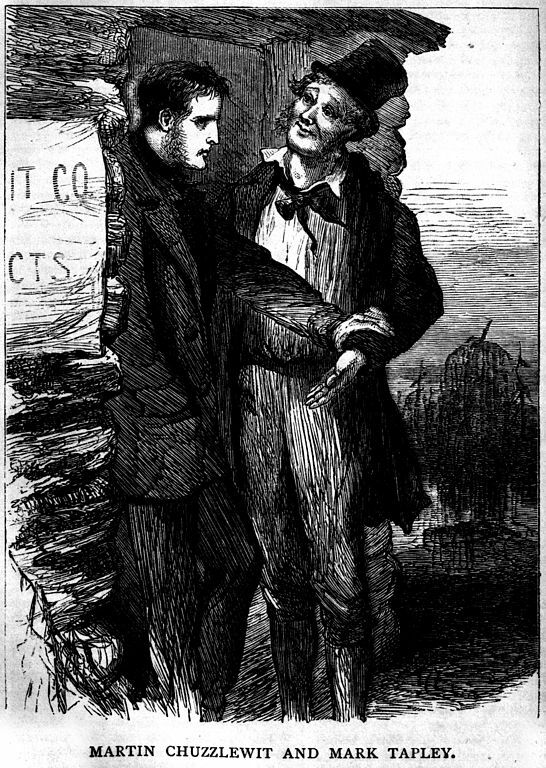 Young Martin Chuzzlewit is arrogant and oblivious to the feelings of others. He takes Tom Pinch and Mark Tapley for granted. Later in the novel, continued exposure to Mark Tapley and a change of fortune in America bring out the better side of young Martin’s character. 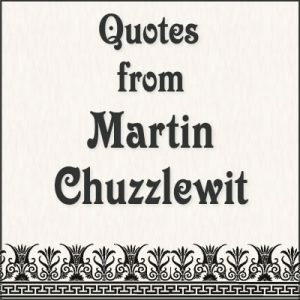 Martin Chuzzlewit was written after Dickens traveled to America in 1842. The United States left quite an impression on Dickens, a very unfavorable impression. Dickens was horrified by slavery, appalled by the common use of spitting tobacco and indignant about his treatment by the press. Like any good author, he used his life experience in his work. His dissatisfaction with America came out in American Notes and later in Martin Chuzzlewit. 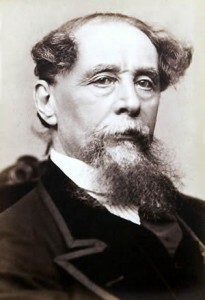 Dickens returned to America in 1867 for an extensive reading tour. He found the conditions in America greatly improved from his first visit.